Videobrillen unternimmt Furious FPV einen ganz neuen Ansatz im Bereich der Funktionalität von internen Empfängern. wodurch ein klarer Vorteil gegenüber gewöhnlichen Empfängern besteht. True-D alles, was zum Racen benötigt wird. Die manuelle Kanalauswahl erlaubt es, einfach und schnell einen der 40 verfügbaren Kanäle auszuwählen. benutzte Frequenzen aufschaltet. So können Sie ohne jegliche Einstellarbeiten losfliegen. erreichen. Der LCD-Bildschirm bietet stets eine perfekte Übersicht über die ausgewählten Einstellungen. designed. Keine herumhängenden Kabel, kein Beschädigen des originalen Gehäuses. 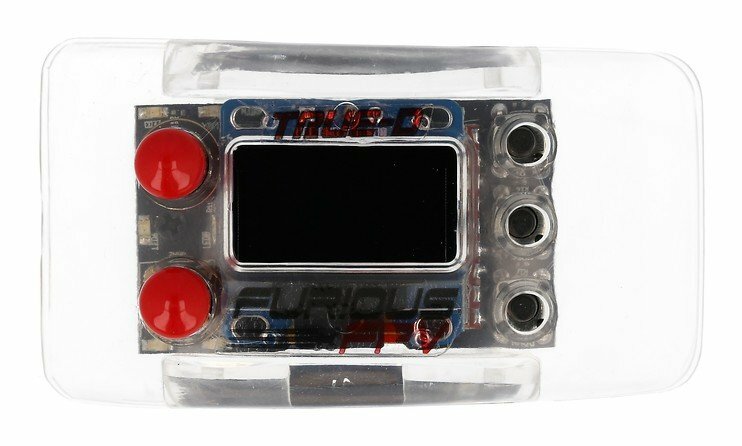 Furious TRUE-D V3.7 Diversity Receiver System - Clarity Redefined. Incorporating all new firmware that is easier to use and more powerful than ever, the TRUE-D V3.5 utilizes an all new USB port for easy firmware updates, making new firmware installations painless, simple and to the point. 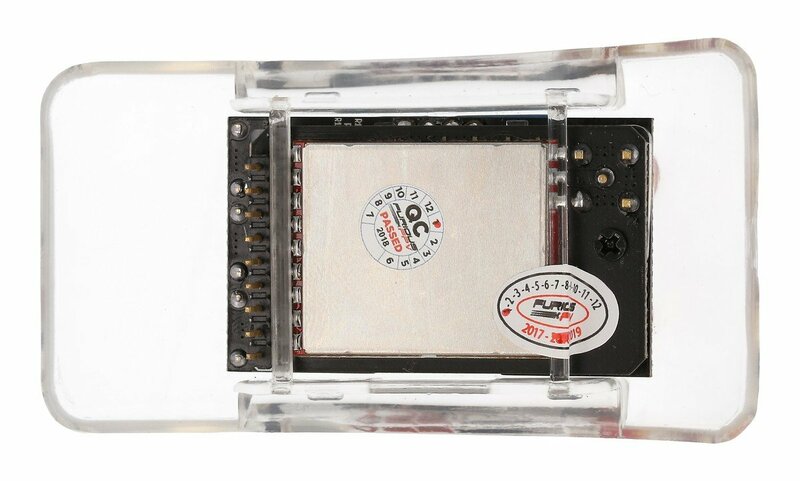 Add in additional modules to help dissipate heat, the V3.6 also integrates a built in low voltage buzzer, providing pilots with crucial warning when power gets low. Unlike average diversity systems that simply alternate channels at predetermined points, the Furious TRUE-D actively searches for the greatest level of signal strength via Smooth Switch technology - choosing the highest strength output for maximum video clarity. And with the new V3.7 system, a higher resolution RSSI is utilized with greater antenna switching capability, offering even better signal resolution & video clarity than any other model on the market today. With a total of (48) available channels, the TRUE-D is hyper flexible, offering Manual Channel Setup, Auto Search Mode, and Working Channel Mode. These different selections provide the end user with total control, allowing you to select what works the very best when it comes to your FPV systems. Complicated and time consuming setup? Not a chance. Step into Easy View - an ultra simple interface that utilizes a high resolution LCD screen for all setup functionality. With the brand new multi button V3.5 interface, programming your TRUE-D is easier than ever, allowing instantaneous levels of adjustment via the optimized 3 button layout. 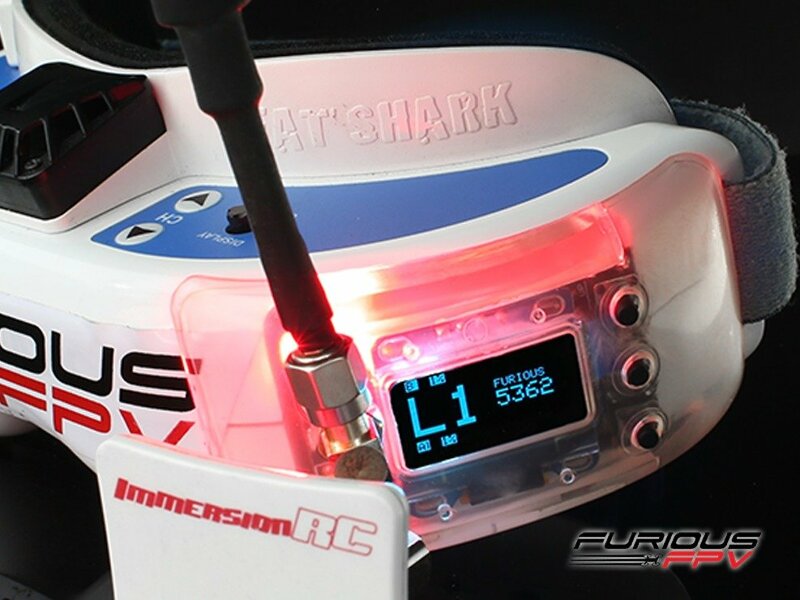 Compact and designed to be housed within the FatShark Dominator goggle sets, the Furious TRUE-D V3.5 system is a true "plug and play" setup that will pay massive dividends when it comes to pushing your FPV to the limits. With all new V3 capability, you are moments away from the very best FPV upgrade available today, providing epic levels of FPV clarity that must be seen to believe. With (2) receivers working together as (1), your video clarity & overall range is optimized as the TRUE-D Diversity system actively searches for the highest signal quality for maximum video clarity. Add an upgraded & optimized RSSI, and the V3.6 TRUE-D performs like never before with the very best antenna switching algorithms. Straightforward and to the point, Manual Mode gives you complete control, allowing you to select any of the (48) channels available for optimum FPV. Optimized with a total of (48) available channels, the TRUE-D covers all the bases, allowing you to use nearly any video transmitter available today. Making life easy, the all new V3.7 TRUE-D incorporates a built in USB port, allowing firmware updates to be smooth, simple and to the point. Incorporate this with an all new easier to use updated firmware, the TRUE-D V3.7 is the easiest and most powerful diversity system on the market today. Top Empfänger. Gute Bildqulität. Gute Reichweite. Ich benutze es in Kombination mit meiner Fatshark HDO und habe ein super Bild. Für den Preis ist es einer super alternative zum RapidFire. Für Einsteiger wie mich, ist das True-D klar zu empfehlen.